If you look just at your revenue numbers as a publisher, it is easy to believe mobile is of limited importance. In our last post I mentioned an AdAge article highlighting how the New York Times was generating over half their traffic from mobile with it accounting for about 10% of their online ad revenues. If the downstream sites are mobile friendly, then users are more likely to go back to the central ad / search / social networks more often & be more willing to click out on the ads from them. If mobile is emphasized in importance, then those who are critical of the value of the channel may eat some of the blame for relative poor performance, particularly if they haven't spent resources optimizing user experience on the channel. Google has hinted at the importance of having a mobile friendly design, labeling friendly sites, testing labeling slow sites & offering tools to test how mobile friendly a site design is. In the past Google would hint that they were working to clean up link spam or content farms or website hacking and so on. In some cases announcing such efforts was done to try to discourage investment in the associated strategies, but it is quite rare that Google pre-announces an algorithmic shift which they state will be significant & they put an exact date on it. I wouldn't recommend waiting until the last day to implement the design changes, as it will take Google time to re-crawl your site & recognize if the design is mobile friendly. Those who ignore the warning might be in for significant pain. Some sites which were hit by Panda saw a devastating 50% to 70% decline in search traffic, but given how small mobile phone screen sizes are, even ranking just a couple spots lower could cause an 80% or 90% decline in mobile search traffic. Google also announced today they are extending AdWords-styled ads to their Google Play search results, so they now have a direct economic incentive to allow app activity to bleed into their organic ranking factors. With the above sort of code in place, Google would rank the full version of the site on desktop searches & the m. version in mobile search results. 3 or 4 years ago it was a toss up as to which of these 2 options would win, but over time it appears the responsive design option is more likely to win out. 2017 Update: Google confirmed in June of 2017 they prefer responsive designs, as in 2018 they intend to move to a mobile-first index of the web. In the past the m. version was simply a relational pointer, but when the mobile version of a page becomes the default version of a page, then if it lacks content that was on the desktop version of the page that missing content will not be in the search index on mobile or desktop. If people share a mobile-friendly URL on Twitter, Facebook or other social networks & the URL changes, then when someone on a desktop computer clicks on the shared m. version of the page with fewer ad units & less content on the page, then the publisher is providing a worse user experience & is losing out on incremental monetization they would have achieved with the additional ad units. While some search engines and social networks might be good at consolidating the performance of the same piece of content across multiple URL versions, some of them will periodically mess it up. That in turn will lead in some cases to lower rankings in search results or lower virality of content on social networks. Over time there is an increasing blur between phones and tablets with phablets. Some high pixel density screens on cross over devices may appear large in terms of pixel count, but still not have particularly large screens, making it easy for users to misclick on the interface. When Bing gave their best practices for mobile, they stated: "Ideally, there shouldn’t be a difference between the “mobile-friendly” URL and the “desktop” URL: the site would automatically adjust to the device — content, layout, and all." In that post Bing shows some examples of m. versions of sites ranking in their mobile search results, however for smaller & lesser known sites they may not rank the m. version the way they do for Yelp or Wikipedia, which means that even if you optimize the m. version of the site to a great degree, that isn't the version all mobile searchers will see. Back in 2012 Bing also stated their preference for a single version of a URL, in part based on lowering crawl traffic & consolidation of ranking signals. In addition to responsive web design & separate mobile friendly URLs, a third configuration option is dynamic serving, which uses the Vary HTTP header to detect the user-agent & use that to drive the layout. For large, complex & high-traffic sites (and sites with numerous staff programmers & designers) dynamic serving is perhaps the best optimization solution because you can optimize the images and code to lower bandwidth costs and response times. Most smaller sites will likely rely on responsive design rather than dynamic serving, in large part because it is quicker & cheaper to implement, and most are not running sites large enough to where the incremental bandwidth provides a significant incremental expense to their business. If your site hasn't been updated in years you might be suprised at what you find available on sites like ThemeForest for quite reasonable prices. Many of the options are responsive out of the gate & look good with a day or two of customization. Theme subscription services like WooThemes and Elegant Themes also have responsive options. Some of the default Wordpress themes are responsive. Creating a child theme is quite easy. The popular Thesis and Studiopress frameworks also offer responsive skins. Some of the PSD to HTML conversion services like PSD 2 HTML, HTML Slicemate & XHTML Chop offer responsive design conversion of existing HTML sites in as little as a day or two, though you will likely need to do at least a few minor changes when you put the designs live to compensate for issues like third party ad units and other minor issues. If you have an existing Wordpress theme, you might want to see if you can zip it up and send it to them, or else they may make your new theme as a child theme of 2015 or such. If you are struggling to get them to convert your Wordpress theme over (like they are first converting it to a child theme of 2015 or such) then another option would be to have them do a static HTML file conversion (instead of a Wordpress conversion) and then feed that through a theme creation tool like Themespress. For simple hand rolled designs there are a variety of grid generator tools, which can make it reasonably easy to replace some old school table-based designs with divs. Many of the themes for sale in marketplaces like Theme Forest also use a multi-column div grid based system. Google allows webmasters to alter the ad calls on their mobile responsive AdSense ad units to show different sized ad units to different screen sizes & skip showing some ad units on smaller screens. 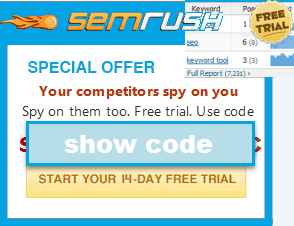 An AdSense code example is included in an expandable section at the bottom of this page. Images are another tricky point. Here are a few other general responsive CSS tricks. Back up your old site before putting the new site live. Download a copy of your existing site to local. Upload the sitename.com-OLDVERSION folder to your server. If anything goes drastically wrong during your conversion process you can rename the new site design to something like sitename.com-HOSED then set the sitename.com-OLDVERSION folder to sitename.com to quickly restore the site. Download your site to local again. Ensure your new site design is using a different CSS folder or CSS filename such that they old and new versions of the design can be live at the same time while you are editing the site. Create a test file with the responsive design on your site & test that page until things work well enough. Once that page works well enough, test changing your homepage over to the new design & then save and upload it to verify it works properly. In addition to using your cell phone you could see how it looks on a variety of devices via the mobile browser testing emulation tool in Chrome, or a wide array of third party tools like: MobileTest.me, MobileMoxy Device Emulator, iPadPeek, Mobile Phone Emulator, Browshot, Matt Kersley's responsive web design testing tool, BrowserStack, Cross Browser Testing, & the W3C mobileOK Checker. Paid services like Keynote offer manual testing rather than emulation on a wide variety of devices. There is also paid downloadable desktop emulation software like Multi-browser view. Once you have the general "what needs changed in each file" down, then use find & replace to bulk edit the remaining files to make the changes to make them responsive. Use a tool like FileZilla to quickly bulk upload the files. Look through key pages and if there are only a few minor errors then fix them and re-upload them. If things are majorly screwed up then revert to the old design being live and schedule a do over on the upgrade. If you want to view your top pages you could export that data from your web analytics to verify all those pages look good. If you wanted to view every page of your site 1 at a time after the change, you could use a tool like Xenu Link Sleuth or Screaming Frog SEO Spider to crawl your site & export a list of URLs into a spreadsheet. Then you could take the URLs from that spreadsheet and put them a chunk at a time into a tool like URL Opener. If you have little faith in the above test-it-live "methodology" & would prefer a slower & lower stress approach, you could create a test site on another domain name for testing purposes. Just be sure to include a noindex directive in the robots.txt file or password protect access to the site while testing. When you get things worked out on it, make sure your internal links are referencing the correct domain name, and that you have removed any block via robots.txt or password protection. For a site with a CMS the above process is basically the same, except for how you might need to create a different backup. If you are uploading a Wordpress or Drupal theme, then change the name at least slightly so you can keep the old and new designs live at the same time so you can quickly switch back to the old design if you need to. If you have a mixed site with Wordpress & static files or such then it might make sense to test changing the static files first, get those to work well & then create a Wordpress theme after that. Google systems have tested 2,790 pages from your site and found that 100% of them have critical mobile usability errors. The errors on these 2,790 pages severely affect how mobile users are able to experience your website. These pages will not be seen as mobile-friendly by Google Search, and will therefore be displayed and ranked appropriately for smartphone users. This is right, RWD is only the part of AD and it need only for resize screen picture, it can`t replace elements of the web page to use it more comfortable on mobile phone, check Wikipedia. Responsive design is only new word that marketers use now instead of adaptive design. There is a clear layout of the page and the distribution of what is behind it, and giving words that things they do not have is just deception. Hey Aaron! Although this article is a bit older, it still provides valuable insights on responsive design - especially nowadays when Google rolled-out mobile-first indexing algorithm. but over time an increasing share of the overall web traffic pool is highly distracted people on their mobile devices. if those people do not know who you are & the usability stinks they'll quickly leave. in most developed markets mobile is over half of web usage & there was recently a survey that showed US desktop & laptop ownership had fallen by 5% in 2 years. In some emerging markets like India over 80% of web usage is mobile. And now that Google has Android plus Chrome they don't need to rely exclusively on estimate what a random web surfer might do (e.g. PageRank) instead they can confirm what actual users do by seeing how they interact with the search results, what sites they search for, how frequently they visit particular sites, etc. … to some degree they might use the random surfer model as a baseline to determine if a site or page deserves a chance at ranking among the top results, but those with terrible usability will quickly sink.